The Super Bowl draws millions of viewers and has become the most watched television event in a calendar year. The next day is filled to the brim with people recapping football highlights, halftime performances and of course, the commercials. With a hyperaware audience of 111 million it is no wonder companies will save their best and most important messages and products for this moment. A Super Bowl hit commercial is one that is shared across demographics and talked about for the long term. 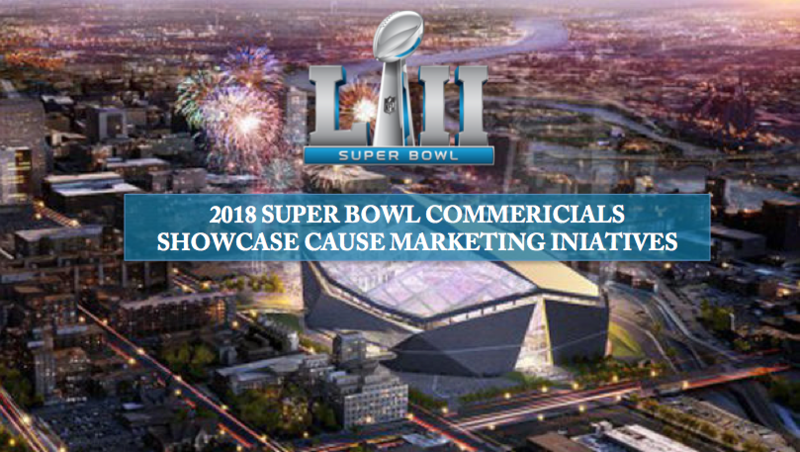 GSG along with Tim Calkins, a marketing professor at Northwestern University, believes that “Super Bowl ads always reflect the mood of the country to a certain degree.” We’ve stated before that millennials are requiring more from the brands they use and support. They are, essentially, demanding companies show the good they are doing with the money they are given. This year, we were elated to see brands so tastefully bringing their cause marketing efforts into the limelight. Budweiser has been running a disaster-relief water program for 30 years but only this year told this high volume viewership about it. Hyundai’s Hope on Wheels is celebrating its 20th year and has raised more than $130 million for childhood cancer research and chose the most prominent event of the year to share this incredible program. These companies are demonstrating their understanding of what their target audiences demand in terms of cause. The Super Bowl offers brands the opportunity to score or fumble horribly. Where we see Budweiser and Hyundai succeed with their cause message, we also see Ram fumble with their “Built to Serve’ ad where they use Martin Luther King Jr’s speech as a comparison to how their trucks serve. The audience threw their negative feedback onto Twitter immediately. This is a know your audience moment that will leave the brand making amends for some time. We can call this their Pepsi moment. In this millennial dominated environment, how is your brand holding up? We encourage you to incorporate cause marketing into your campaign strategies in 2018. Contact GSG here http://goodsolutionsgroup.com/contact/ to learn more about how we can help you kick-start your marketing efforts to reach and engage your audience with a cause driven strategy.